Join us as Meh and special guest Ruffian Stew return this week with the community based show with all the results of the group stages and the quarter final draw of Euro Ruff 2012! There's also more news concerning Ruffcraft and the Trials Evo Design a Track comp. The RuffCast - Your input & Ideas - Post Here! As the title says really - Mehwarrior & me value you the listeners input and ideas so please post below what you think of the past shows and also post below if you have any ideas on what you would like in the shows for the future! Join us as Meh and special guest DarkestFrost return this week with the community based show with all info on the group stages of Euro Ruff 2012! Join us as Meh and special guest Iceman return this week with the community based show with info on the results of the Final round of our new competition here at Ruff Gaming - Ruff's Trials Evo Challenge! There's also more news concerning Ruffcraft and a brand new Euro 2012 based comp! Join us as Meh and Stew return this week with the community based show with info on the results of the 1st round of our new competition here at Ruff Gaming - Ruff's Trials Evo Challenge! Join us as Meh and Stew return this week with the community based show with info on the first round of our new competition here at Ruff Gaming - Ruff's Trials Evo Challenge! Join us as Meh and Stew return with an all new community based show with info on our new competition here at Ruff Gaming - Ruff's Trials Evo Challenge! 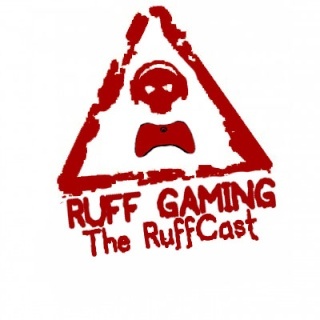 Also all the latest info from the site including Ruff Nights, Ruff Gaming TV & RuffiansFC!